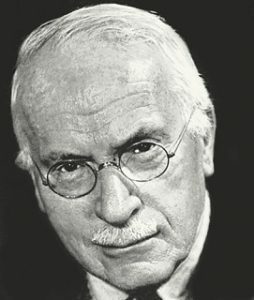 AIPCT is pleased to announce a holiday reading group and close study of The Red Book of Carl Gustav Jung. The dates are December 10, 13, 17, 20, 27, and January 3, 7, and 10. All sessions begin at 7:00 and formal study will end around 8:30. Informal discussion continues indefinitely after the session concludes. The group will be studying both the translated and the hand-written and illustrated edition (which is available free on-line). The Reader’s Edition is not expensive to buy new and is available in other formats. Please do not let the cost of the book keep you from coming. It can be worked out to get you access to the book. Those who are interested are welcome to read the introductory material before the first meeting. The study will begin on p. 379 “The Gift of Magic” and proceed to p. 458, ideally. The book itself is non-linear and one could start anywhere, but these are some of the more accessible passages. 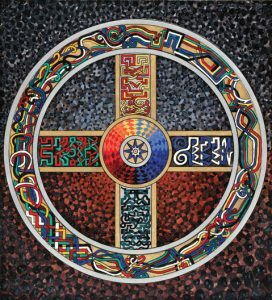 The aim of the study is both to learn some of Jung’s ideas and to explore their meaning now. The co-leaders of the study group are Randy Auxier, co-founder of AIPCT, and Danny Damien, who is a student fellow of the Institute. Since the conversation will be cumulative, it is best if those who participate can attend most of the sessions. Light refreshments and soft drinks, as well as beer and wine, will be provided, but participants are welcome to bring their own libations and snacks to share.